Get Bills Cheaper partners with several telecommunication providers to offer fixed line telecoms. Our telecommunication reseller company is registered with OFCOM and has complete access to BT Openreach online systems. We offer various types of broadband products and services. Through our broadband services, we are able to serve the needs of different customer requirements including Fibre Broadband, 21CN, and LLU. As a part of our mobile proposition, Get Bills Cheaper feels proud to present Vodafone re-bill service. Our bill collectively features all mobile as landline and broadband products. We are registered Utility brokers for various power companies. These include prominent names like Ovo Energy, Opus Energy, British Gas, CNG and many more. Why should you pay more for your business gas and electricity rates than you have to? The service that we offer is different to most energy brokers that are in circulation. We search many different suppliers to ensure that we can get cheaper business energy and the best prices for your business electricity and gas prices. We have a great team of highly skilled advisors working tirelessly comparing energy prices and ensuring we are also negotiating the best possible gas and electricity savings for your business or commercial property. We offer a full account management services for business gas, business electricity, business telecoms, business broadband and credit card machines. This means that we make sure that when your agreement is due to come to an end we already have agreed a new tariff and contract with you with either a new supplier(s) or we have renewed your existing rates with the current supplier. This is an invaluable service to achieve cheaper business energy, it takes the hassle out of having to remember when your business electricity and gas contracts are coming to an end. Again this is all part of the service when you are a Get Bills Cheaper customer and there is absolutely no charge for our account management service. Our service is completely free and 100% impartial. No money will change hands and we have absolutely no alignment with any supplier or suppliers. Compare Energy Prices, Compare Business Energy, compare business energy prices. UK businesses should compare the market for cheaper business energy, the best business gas prices and electricity prices at least once a year to find the cheapest supplier for your business energy, telecoms, broadband and credit card machines. This is not only to get the best deal but it is also to avoid getting tied to business energy contracts with high prices. There is talk of suppliers stopping automatic contract rollovers for business gas and electricity customers, (business telecoms and broadband for SME’s has already been stopped) and getting tied into very expensive rates. This is great news for business gas and electricity customers and a few suppliers have taken measures stopping this process. When you are a business owner you may not have the time or want to speak to lots of different energy suppliers just to get a quote for your business gas and business electricity rates. You also don’t want to be harassed with phone calls from suppliers with details of their latest offers. 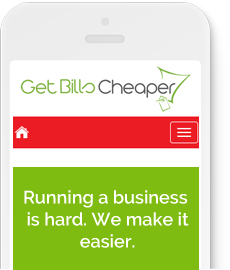 Compare business bills is here to take the hassle out of this, that why our account management service works so well, there is only one person to deal with at our end and we will do all the hard work for you. It’s simple and easy to compare business gas, electricity, credit card machines, telecoms and broadband prices with comparebusinessbills.co.uk. Call our sales teams now to find out the best savings available through us on 0800 078 9406 (Free phone). Even the call to us is free!